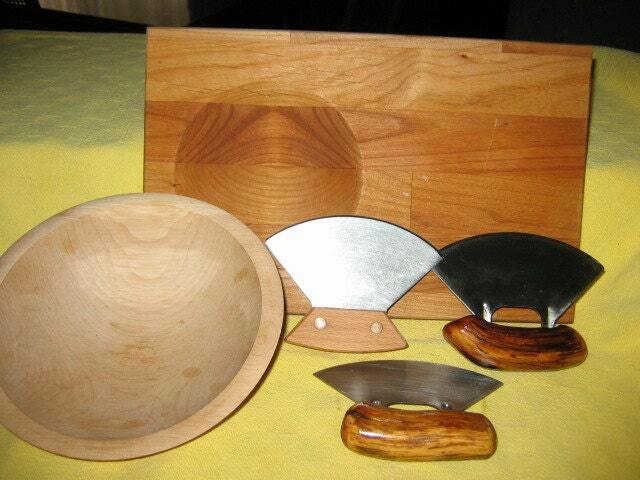 This high quality Ulu knife, Chopping Bowl and Chopping Block are American made for a life time of use. The Ulu Knife blade is made from 430 stainless steel, finely honed to an exact sharpness, with a fitted handle. You have a choice of handle materials. We offer handles made from Beechwood (photo 1 top left), Manzanita (photo 1 top right). 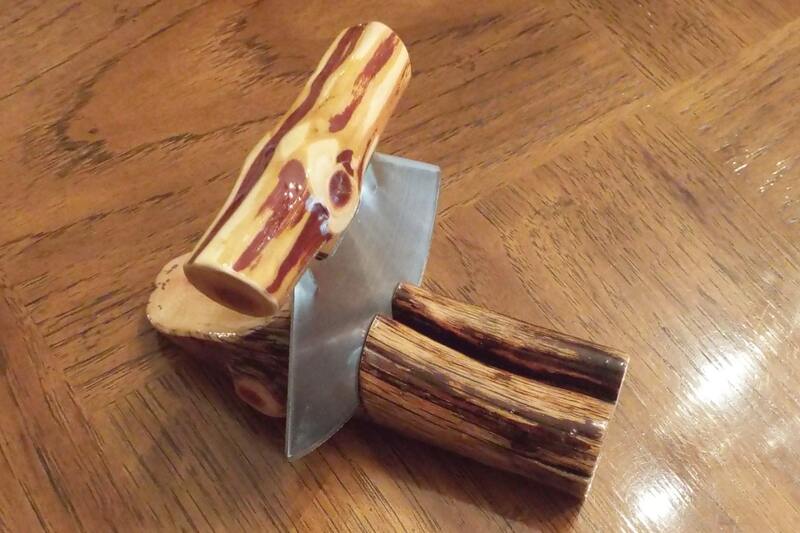 We also offer the handle in Shed Antler at an additional charge (photo 2 on left). You will make your selection at checkout. Size: Approximately 3.5"X 5"
The Chopping Bowl ( photo 3) is also finely crafted and is turned from a piece of solid maple. It has been sized to compliment the Ulu knife and tapered to facilitate the chopping action. 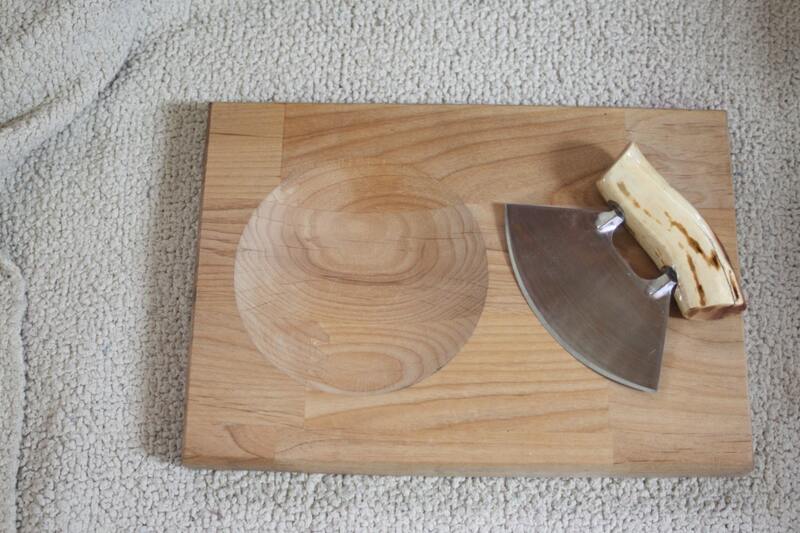 Size: 2" X 8" Bowl depth is 1.625"
The Chopping Board (photo 4) is also finely crafted and is made from Alder. 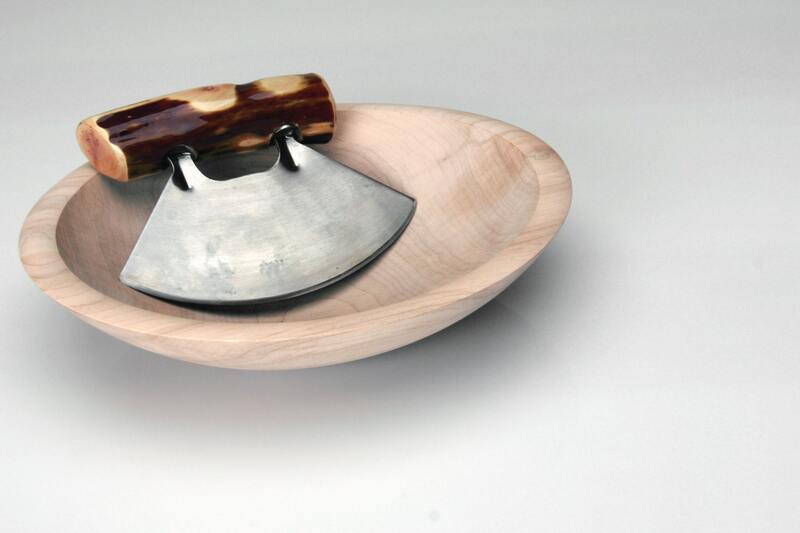 It has been sized to compliment the Ulu knife and the "bowl" is tapered to facilitate the chopping action. Size: 11.25" X 7.75" X 1.00" Bowl depth is .875"
The bowl and board are unfinished and come with detailed instructions on the proper oiling procedure and suggested oil types for best results. NOTE BELOW PRICING INCLUDES CHOPPING BOWL AND CHOPPING BOARD. 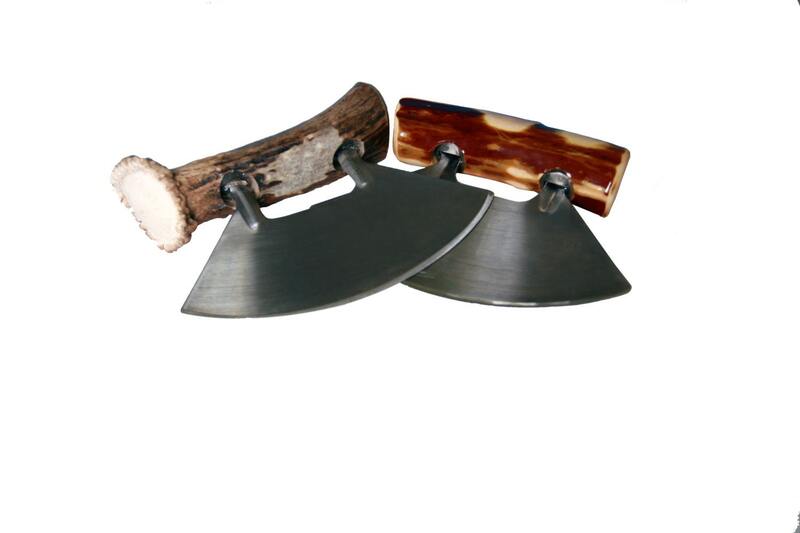 Please see our other offerings to order the Ulu Knife as a stand alone, Ulu Knife with a Chopping Bowl, or as Ulu Knife with a Chopping Board. Just as shown. Lovely wood and beautiful handle on the ulu knife. Very pleased. Present to myself. Would highly recommend. Wow. It's more beautiful in person. Cant wait to use it! Great craftsmanship, and a great deal for the set. Thank you very much.